Many diets have come and gone over the years, such as the Atkins diet, the cabbage soup diet and the grapefruit diet, each promising a quick fix and a solution for weight loss. Nowadays we are inundated with celebrities sharing their latest diet and fitness tips to help us get that ‘perfect’ body. While these diets may initially help to shed the pounds, most are not concerned with promoting good health and the moment we return to eating normally the weight piles back on, leaving us back at square one. 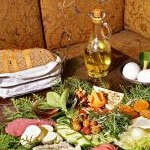 However, there is one diet that scientists have been researching and recommending for years; the Mediterranean diet. There have been many studies linking the Mediterranean diet with longer life expectancy, improved brain function and now the latest research confirms that this diet, when combined with exercise, improves heart health and encourages weight loss too. A study by the Canadian Cardiovascular Congress found that high intensity interval training combined with a Mediterranean diet dramatically improved heart health and encouraged abdominal weight loss. The study was carried out on people with abdominal obesity and the participants took part in high intensity interval training 2 -3 times a week as well as eating a Mediterranean diet consisting of lots of fish, vegetables, grains, olive oil and small amounts of meat. The results showed that the participants had lost significant amounts of weight, had improved blood pressure and cholesterol levels, exercise capacity and muscle endurance. Blood sugar levels were also reduced and the greatest improvement was seen in those who had diabetes. 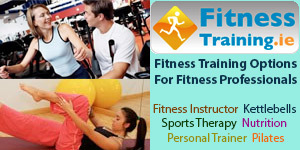 High intensity interval training is a form of cardiovascular exercise that involves high intensity bursts of exercise with low intensity breaks. Alternating sprints with slow jogging or walking or regular sports that naturally include intervals such as football are great examples and swimming, hill walking and skipping can all be adapted. This form of exercise is known to be most beneficial for heart health, endurance and fitness levels and weight control. Dr. Nigam, a cardiologist at the Montreal Heart Institute said that it was “striking” that the participants not only showed great results at the beginning of the study, but that they continued to improve into the study’s second year. It is the first study of its kind as both interval training and the Mediterranean diet have been studied separately but never together and so the full health benefits of combining the two can be clearly seen now. Dr. Abramson, spokeswoman for the Heart and Stroke Foundation in Canada, said there is “no magic” when it comes to being a healthy weight and reducing the risk of heart disease but that it “comes down to basics and how we live our lives”. She recommended that people manage their diet, take exercise and stay away from cigarettes, excessive amounts of alcohol and stress in order to keep healthy. So put away the crisps, cigarettes and television remote; instead replace them with olive oil, vegetables and exercise to help keep your heart healthy and your waist trim.